Sixteen year-old Gil Leduc walks to school one day when he stumbles across the dead body of his close friend Paul Connors. Paul, who once had been active in his church youth group, had recently joined the Black Ravens, a Satanic gang. Gil vows to find the killer, but he's told not to interfere with the investigation by Detective Patricia Daulton, a hard-nosed, by the book cop. During the course of the investigation, Gil receives numerous threats on his life. For example, someone hangs dead animals on the gutter of his garage. Later someone calls him claiming to be Satan himself. Not only does Gil receive such threats, but so does his girlfriend, Jan Barrio and her family. Her father, a Niagara Falls police officer, urges him to leave the investigating to the police. 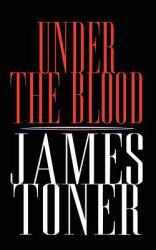 Under the Blood is a youth mystery novel combining the suspense of a Hardy Boys novel and the spiritual warfare elements of a Frank Peretti novel.